One of several recent changes to the tenancy law aims to make homes warmer, drier and safer for hundreds of thousands of New Zealanders. All new tenancy agreements must include a statement of the extent and safety of insulation in the property. Any replacement or installation of insulation in a rental property must meet the required standard as set out below. From 1 July 2019, all rental properties must have underfloor and ceiling insulation that meets the required standard, where it can practically be installed. Landlords are able to install insulation themselves however, if the insulation is installed incorrectly they could face insurance and liability consequences. There is a two-stage approach for landlords to implement the full insulation requirements – with other factors also coming into play. All landlords must declare the extent of insulation in their rental properties on new Tenancy Agreements from this date. Any new, or replacement, insulation installed into rented homes (whether income-related or not) from this date must meet or exceed the required standard for newly installed insulation. Rented homes with tenants receiving the IRRS must have insulation which meets or exceeds the minimum requirements. Privately owned rented homes must have underfloor and ceiling insulation which meets or exceeds the minimum requirements – where it can practically be installed. How will landlords know if they need to upgrade? Rental properties that already have insulation installed must be upgraded if ceiling and underfloor insulation do not meet the R-value levels set out below at the time they were installed. An R-Value is a unit of thermal resistance used in building and construction to measure resistance to heat flow. In simple terms, the higher the R-Value, the better its insulation properties. The R-Value properties do diminish with time, so it is important to keep insulation levels topped up to maintain performance. What level do landlords need to upgrade their property to? All rental properties that currently have no insulation in ceilings and underfloor must have new insulation installed to levels that have been set to approximate the current Building Code requirements for new homes. The minimum new, and topped up, insulation requirements for Northland (product R-values) are: Ceiling R2.9; and Underfloor R1.3. So long as top-up insulation meets the R-Value requirements specified, regulations do permit top-up insulation over existing ceiling installations. Landlords are able to install their insulation themselves. 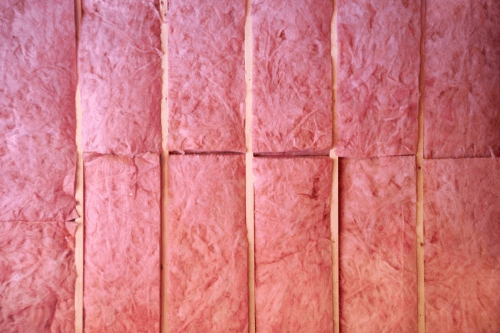 However, if a landlord installs the insulation incorrectly they could face insurance and liability consequences for faulty or negligent installation. Where it is not practical to retrofit insulation because of the physical design or construction of the property (but only until such time as access to these spaces becomes possible). Where, within 12 months of the commencement of a tenancy, the landlord intends to demolish or substantially rebuild all or part of the property, and can provide evidence of having applied for the necessary resource consent and/or building consent for the redevelopment or building work. Where a property is purchased and immediately rented back to the former owner-occupier in which case a 12-month exemption will apply from the date of purchase. We can assist with education and support around how these changes will affect your investment property, as well as organising any work that may be required to ensure the property is compliant. Talk to us for more information – call 09 212 9720 or email us at 360pm.nz@raywhite.com.